"It was in the middle of September  when Driver Frank Green, the only son of Mr John Green of 88 Annesley Road, left Hucknall to do his share of work for King and country. His choice fell upon the Army Service Corps. 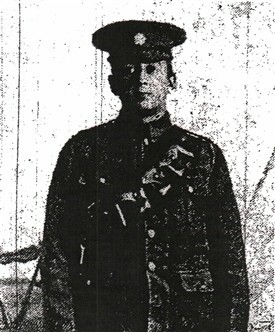 in which he is a driver of horses conveying ammunition and foodstuffs to the fighting line, thus beiing immediately sent to France, though only 19 years of age. He is attached to the Indian contingent and is well satisfied with the work he has taken up".